One of my greatest joys is when people make a personal connection with my blog. Recently, the granddaughter of Alfred Callan and I exchanged a series of emails. She had read my post on St Rose of Lima parish and she shared a photo of her grandfather in his baseball uniform. The uniform has the letters SRL on it . 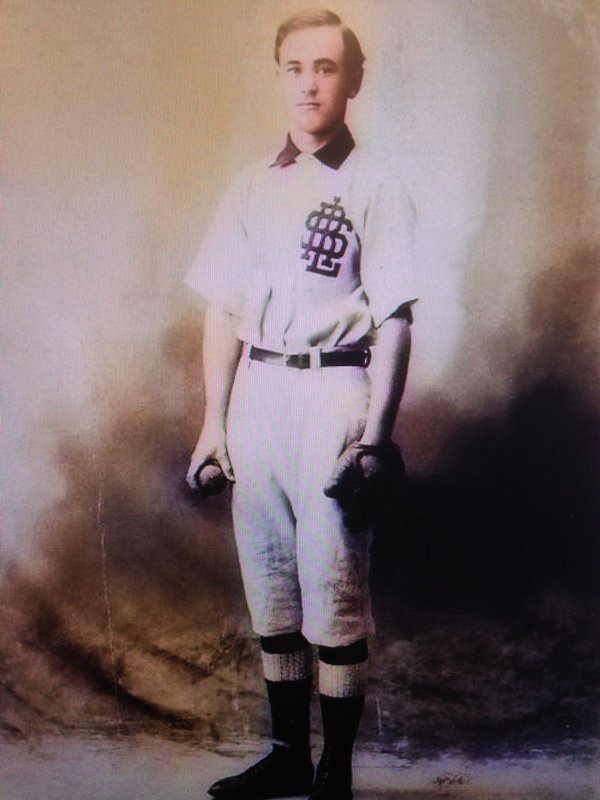 Did St. Rose have a baseball team in the early part of the 20th century? Neither she nor I know the definitive answer to that but it’s absolutely possible. Alfred was not famous and lived what most would call a regular life. Born in 1890, in Newark’s Roseville section, he was the son of Patrick Callan who, according to the 1899 Newark City Directory listed real estate as his occupation. The Callan family lived at 429 Warren Street. The Roseville section of Warren Street is now known as West Market Street. At that time Roseville was a leafy suburb of Newark although it was firmly within the city limits. He grew to be a man, got married, had children and worked for the Delaware Lackawanna and Western Railroad, which later became the Erie Lackawanna. He passed away in 1962, the year his granddaughter was born. Why is this important? It’s important because Alfred was a person who raised a family, went to work , paid taxes and lived a worthwhile life. Just like people we all know and love, persons who lead regular lives but were neither rich or famous. We owe a debt of gratitude to them all. SRL had a baseball team in the 1960’s. I attended SRL from 1959 to 1968 when I graduated. I was on the team in 1967 and 1968. Thanks for your comments. I’m trying to find out if St. Rose had a baseball team in the early 1900’s. Any ideas? Could you shop this to the Bodholt’s crowd. I’d be extremely grateful. You are showing Newark’s history through “ordinary” people and ordinary items. Clearly, they are more important than many dramatic characters and events. Thank you.